On December 9, 2017 at approximately 11:05 a.m., officers responded to the 3200 block of Spaulding Avenue for a shooting. Upon arrival, officers located an unidentified male suffering from a gunshot wound to the head. The victim was pronounced dead on the scene. Homicide detectives are investigating this murder. Witnesses report a suspect, a slender built black male wearing a black puffy coat with a gray or white shirt underneath and black pants was seen running from the scene, south on Park Heights Avenue towards Garrison Avenue. “A patrol officer was in the 5100 block of Park Heights Avenue at 10:28 p.m. Thursday when he heard several gunshots in the area. 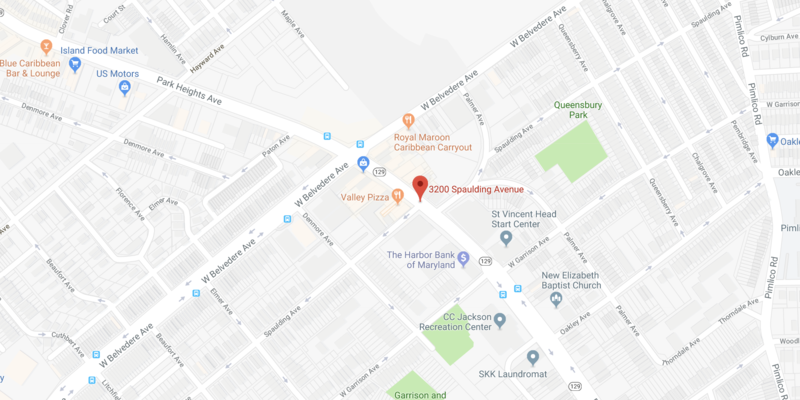 Officers canvassed the area and found a 36-year-old man in the 3200 block of Spaulding Avenue with gunshot wounds to the neck, police said. The victim was taken to the hospital where he is listed in critical condition. While officers were still on the scene they were told of a walk-in shooting victim, possibly from the same location. Once officers arrived to the hospital, they found a 30-year-old man with a gunshot wound to the thigh, police said. “Police also announced Monday morning that the victim shot two months ago in Central Park Heights has died. In January, Desmond Grant was arrested there with a gun he was not supposed to have. A block over, a man was arrested with a small arsenal of weapons after he threatened a person and fired a gun over a parking dispute. And, two blocks over, another man was shot in November (2017). Doing a news search, we found that Vernon Van Johnson, 27, was shot to death at the block in question in 2014. In 2012, Eric Andre Brown, 43, was stabbed to death there. And in 2011, Shirley Tyler, 67, was strangled to death by her grandson, who allegedly was high on PCP when he did it. But this is just this one block and the couple of blocks around it. The block is located in the Central Park Heights neighborhood in Baltimore, which is part of the Pimlico/Arlington/Hilltop Community Statistical Area. There are many other blocks in the area that are just exposed to violence, and a lot of that violence doesn’t show up as homicide. It shows up as other violent crime as well.